According to the Bureau of Labor Statistics, the number of Hispanics in the U.S. workforce has doubled in the past two decades. In fact, Hispanics and Latinos now make up approximately 17 percent of the 150 million employed people in the United States. And that number skyrockets when it comes to the construction industry, where nearly 30 percent of workers are of Hispanic or Latin descent. Instead of assuming (or expecting) that your Spanish-speaking workers will just adapt on a primarily English-speaking job site, be proactive and put tools in place that will foster effective communication from the start. Ensuring that all members of the team feel valued and "seen" goes a long way in building and growing morale and productivity within an organization. Here are a few easy to implement ways to communicate more effectively with your Spanish-speaking employees. Be sure all company handbooks, manuals and printouts are available in Spanish. This is an easy way to make sure that no policies or rules are lost in translation. It is also a good idea to post visual aids, such as drawings and blueprints, where possible. These provide a universal understanding of concepts and help get everyone on the same page. Having multilingual materials is hugely important when it comes to worker safety. It is crucial that workers have a clear understanding about the the risks associated with their jobs. 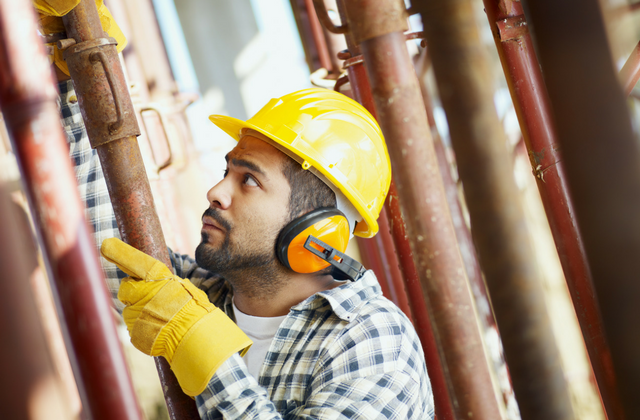 The U.S. Department of Labor lists the top 10 job site hazards – in both English and Spanish – on its blog. Fewer injuries means fewer claims – and this is critical considering that employers pay nearly $1 billion per week in workers' compensation costs. And with one in five worker deaths occurring in construction, companies, particularly in the trade industries, must always be looking for ways to improve and ensure worker safety. Consider giving employees the opportunity to learn English or Spanish via online or in-person classes. Provide a flexible schedule of courses that employees could take at home – this makes the most sense if you have a significant mobile workforce. Or if your workers have regular access to the home office, set a time for the classes there each week. Depending on the level of diversity within your industry, customer base and workforce, you may want to look into making the courses mandatory or requiring candidates to be multilingual. Be sure, however, that foreign language skills are absolutely necessary in order to perform the job – or you may be facing discrimination complaints. In either case, offering employees the opportunity to learn a new language – at no cost to them – is a sound investment in your business. Should your company acquire a Spanish-speaking customer base or decide to branch out internationally, having multilingual members of your team is a major asset. While the construction industry has been notoriously slow to adopt new ways of doing business, use of cutting edge technology, such as drones, is changing that mindset. Tools designed to improve workforce management should also be strongly considered, as nothing derails a project quicker than a hole or delay in communication. Whether your team has an unrealistic timeline, unrefined goals or there is a lack of understanding due to a language barrier, everyone involved pays a hefty price when things don't go as planned and deadlines are missed. Timesheet Mobile's Project+ provides a multilingual central communications hub for your mobile workforce, where tasks, chat messages and images can be shared and reviewed. 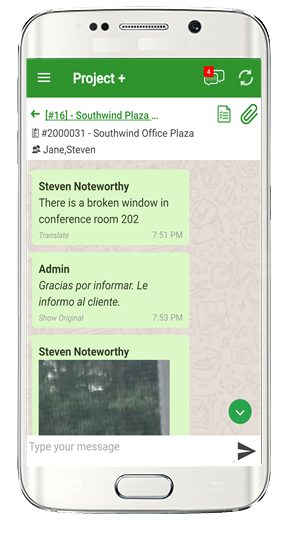 Real-time information can be shared and instantly translated into English, Spanish, French or German via the group messaging platform, where it's easy for users to create checklists, assign tasks, upload images and keep the project on track. You neither have the time, nor should you have to rely on 'Google Translate' to keep the lines of communication flowing. Project+ was created to manage these specific needs of your mobile workforce. Already integrated into the Timesheet Mobile app, it is included in , and there is no additional software to download.